Nail Effects shift from shade to shade depending on the angle. Chip-resistant formula for bolder color hologram effect that just won't quit. Formaldehyde, DBP and Toluene free. Explore the entire range of Nail Polish available on Nykaa. 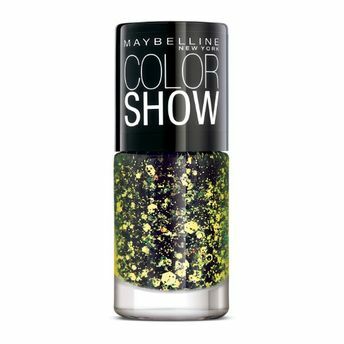 Shop more Maybelline New York products here.You can browse through the complete world of Maybelline New York Nail Polish .Alternatively, you can also find many more products from the Maybelline New York Show Gold Digger Collection range.